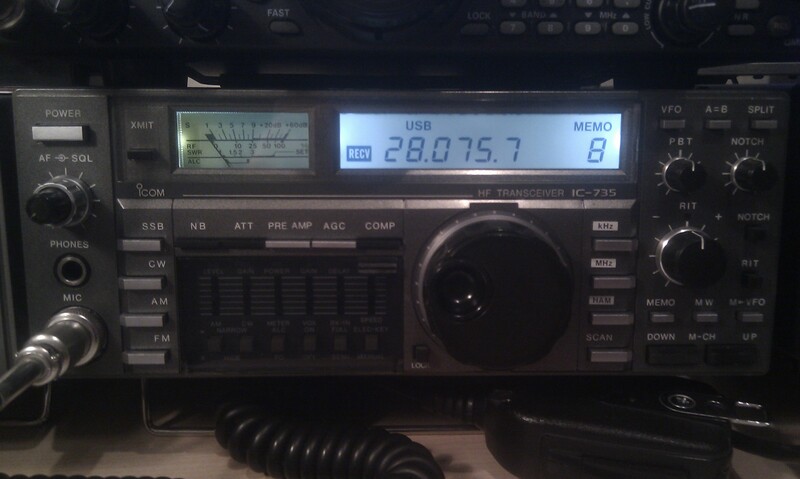 I purchased the IC-735 back in the 80’s, it has always been a favourite rig of mine and has spent most of its life as the prime mover for my 50, 144 and 432 Mhz transverters. I retired the rig a few years back when I got the TS-2000 but recently resurrected it after my son, Kristian, 2E0KGG, obtained his licence. After bringing the rig out of retirement I found it had three small faults that required attention. Two of the dial lamps had unfortunately failed, the AF-gain control was very noisy and the VFO was slightly off frequency. None of this really worried me, I thought I’d simply source a new AF/RF control, some LEDs for the display and fix all three “issues” in one hit. After much research it would seem that the AF/RF twin POT is no longer available, so I was left to hope that a good spray of switch cleaner / lubricant would do the job! I read many articles describing replacing blown bulbs with LEDs and by using different colour LEDs the rig could be given a completely new look! 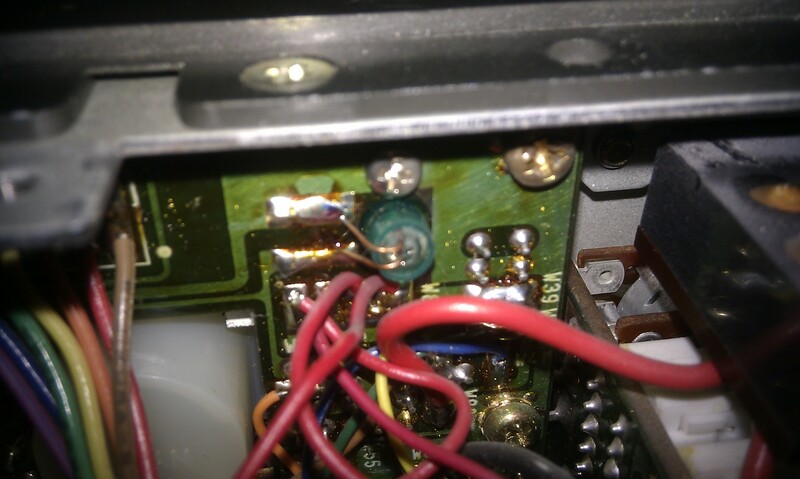 I also discovered that the four small bulbs used to illuminate the front panel on the IC-735 each had a small plastic “hood” to give the characteristic green display. One of the sites I visited had a photo of an IC-735 that had been fitted with “white” LEDs and it looked really good, so I decided that I would do the same. These four photos show the location of each of the original bulbs. 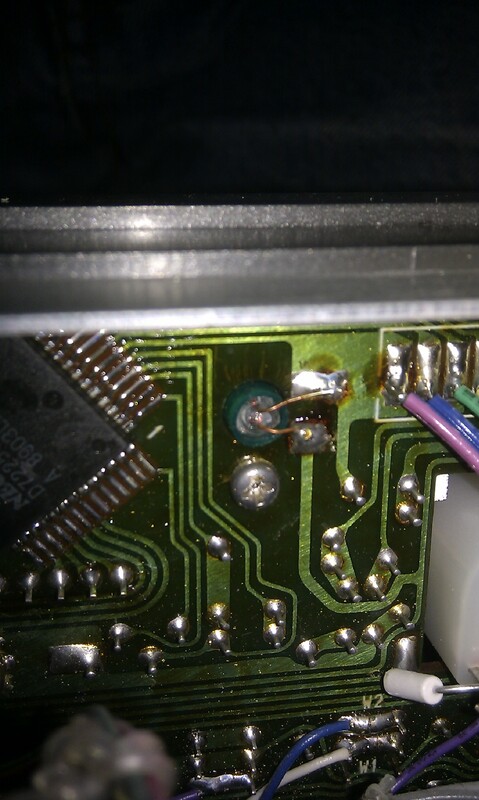 It was fairly easy with a small soldering iron and tweezers to remove them. By carefully studying the track layout and double checking with a meter I knew the +ve supply rail. Each bulb was replaced by a “white” LED and series resistor. I experimented with a number of different value resistors to get the desired brightness. Note that the “dial lamp brightness” pot accessed from the side of the rig didn’t provide much adjustment. 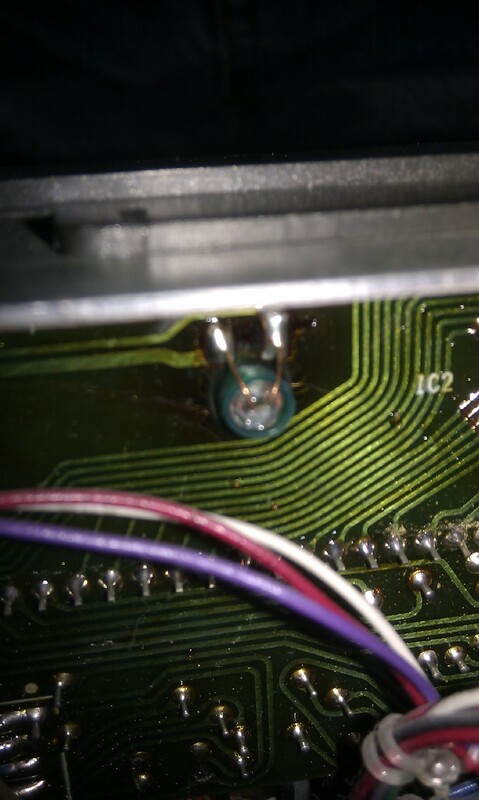 Unfortunately I do not know the specification of the LEDs used as they were once again from the “spares box”. Once all four LEDs were in place and everything checked I gave the AF/RF POT a spray of cleaner / lubricant and left it overnight. The next morning I gave it another spray of cleaner and then set about the frequency adjustment. 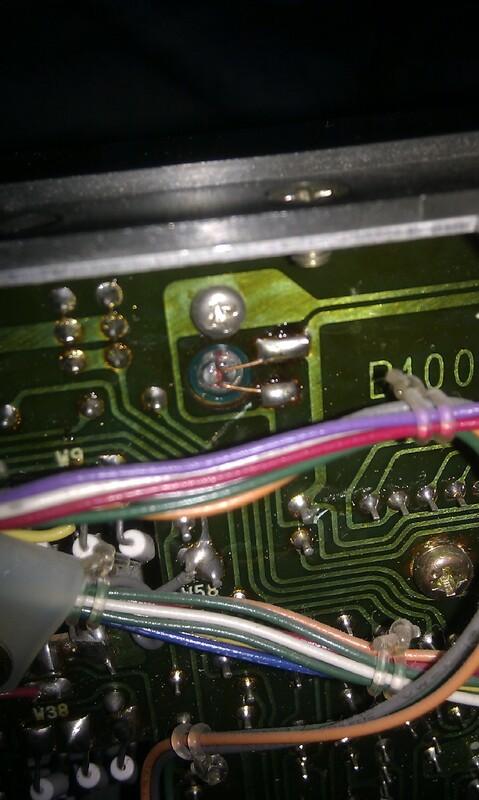 Fortunately ICOM made this a fairly easy adjustment and it’s well documented in the manual.